Today, about one in three American kids and teens is overweight or obese. The prevalence of obesity in children more than tripled from 1971 to 2011. With good reason, childhood obesity is now the No. 1 health concern among parents in the United States, topping drug abuse and smoking. What does “overweight” and “obese” mean for children? Classification of overweight or obese is based on body mass index (BMI). BMI is calculated using a child’s weight and height. The formula is weight in kilograms divided by height in meters squared. There are multiple on-line BMI calculators where you can simply enter your child’s weight in pounds and height in inches to find out his or her BMI. A child’s BMI is then charted on a standard graph based on gender and age-matched peers (like growth charts for weight and height). The child’s BMI then comes out as a percentage when compared to gender and age-matched peers. A child falls into the overweight category if BMI falls between the 85th and 94th percentiles. A child is considered obese when BMI is greater than the 95th percentile. 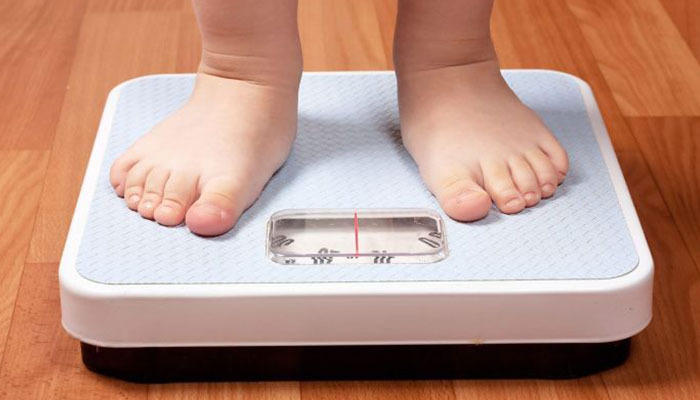 What are the long term effects of a child being overweight or obese? Overweight and obese children are at increased risk for developing type II diabetes, heart disease, high blood pressure, and high cholesterol both in childhood and later in life. Diseases that used to be seen only in adulthood, like type II diabetes, are now being seen more frequently in children, even those as young as 6-8 years of age. What can I do to prevent my child from becoming overweight or obese?